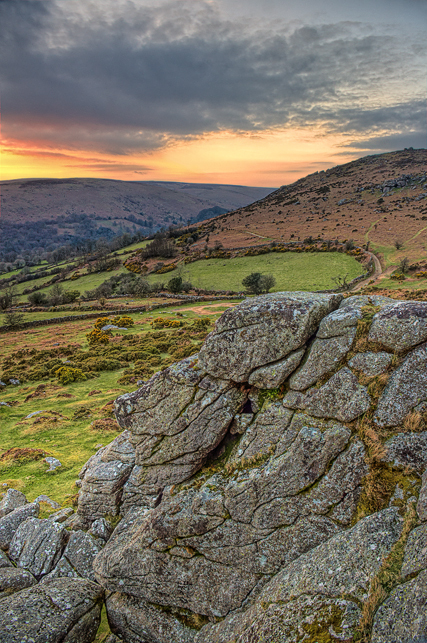 Bonehill Rocks, Bell Tor and Hamel Down crowned with afterglow light. It does indeed, oozing with landscape charm. They should co-opt you onto the tourist board! Thank you very much indeed I was up there bouldering and the light got interesting enough to distract me enough to go up and stand on one of the summit pinnacle platforms of Bonehill to make this photograph. I loved the way C and S-curves and other lines worked together from this spot. Always a delight to gaze out across the moors from this lofty viewpoint. Many Thanks indeed David! Wouldn't that be a wonderful opportunity!